Every year, Estee Lauder release their Bronze Goddess collection, the perfume being the star. It’s a creamy sunshine blend (yes, strange description but smell it and you’ll get what I mean) of coconut, vanilla, bergamot, ginger and jasmine. This is a limited-edition collection only for the summer, so stock up if you want it year round. I saw Jamie Genvieve talk about this on her Youtube channel, saying it smells like summer, so I knew I had to pick it up. I managed to purchase a smaller size while in Sephora, during my New York trip. The product is intended to help you achieve a Brazilian bum, by stimulating the circulation and keeping the skin supple. This was also an American beauty purchase. 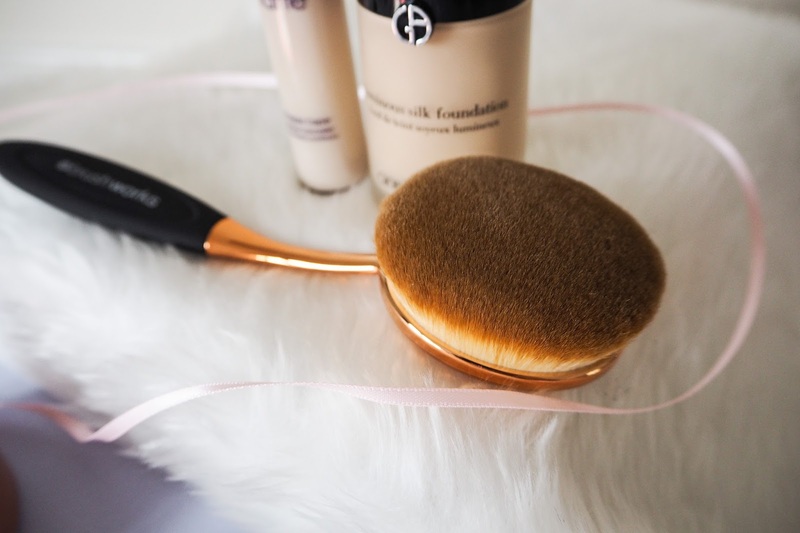 Tati from GlamLifeGuru had mentioned this bronzer plenty of times on her channel. As she has described, it is buttery soft and very easy to blend. The lighter shade of the two options is the best fit for my pale skin. 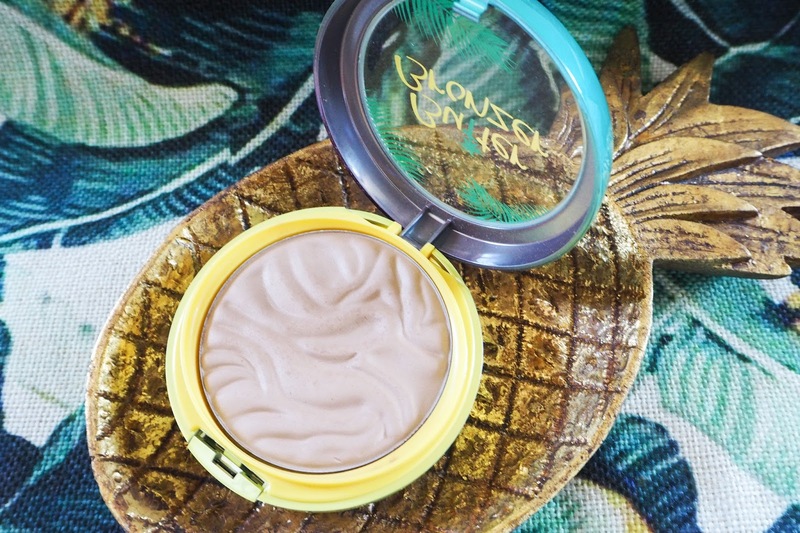 It provides a glowy bronzer look without too much sparkle. It also smells like a holiday in a compact, so it's a pleasure to use. This week’s heatwave has got everyone talking about sunburn and the importance of SPF. Sunburn is the overexposure to ultraviolet (UV) radiation, and the redness is the caused by the increase in blood flow to the area, as they body tries to heal the damage caused. My mum has always slapped on SPF whenever we were out in the sun, which helped instil the message that SPF is important. As I got older I began to understand that SPF protects against premature ageing and skin damage which can later cause skin cancer. During my course of Roaccutane, I was advised to always use SPF even on non-sunny days as my skin was more fragile during the treatment. I wanted the highest protection possible in an easy to use formula, specifically targeted to the face. 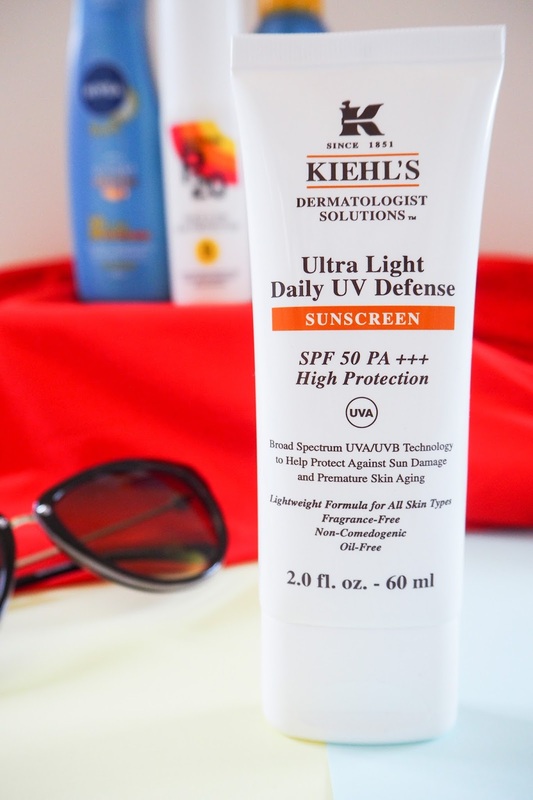 Kiehl’s Ultra-Light Daily Defense SPF 50 came to the rescue. I didn’t want to apply body SPF to my face as it has oil ingredients which can block pores on the face, so this moisturiser was just what I needed. It’s a light moisturiser texture, it’s lightweight and doesn’t leave a white cast. I don’t have to apply moisturiser on after using this product and it works fine as a base for makeup. I would say if you have extra oily skin you should opt for the La Roche-Posay Anthelios AC Anti-Shine Matte Fluid SPF30 instead. 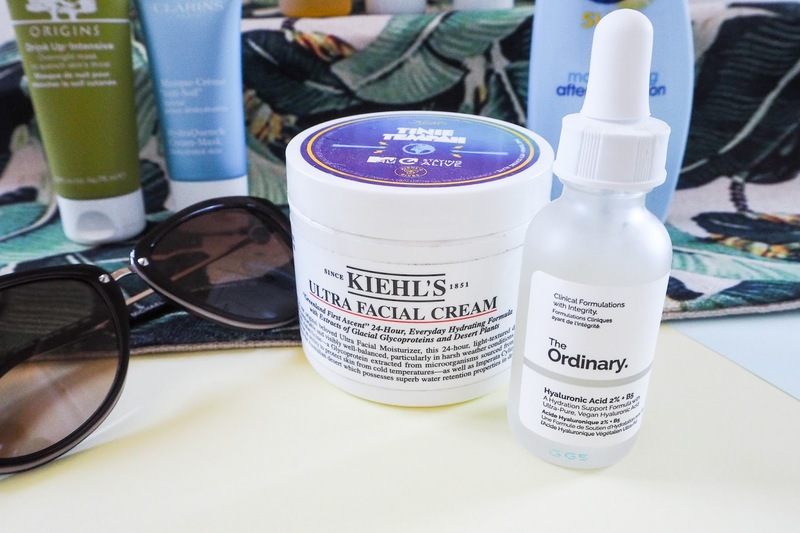 When I posted a photo of the Kiehl’s Ultra-Light Daily Defense SPF 50 to my Instagram, a fellow blogger mentioned it was the only SPF that didn’t break her out, so that must be a good sign! What is your favourite facial SPF? I’d had first visited the ‘city that never sleeps’ while I was university and true to its name, we hardly slept. We stayed in a pokey hostel, leaving it to explore at 9 am and returning weary at 1 am after a packed day of sightseeing. 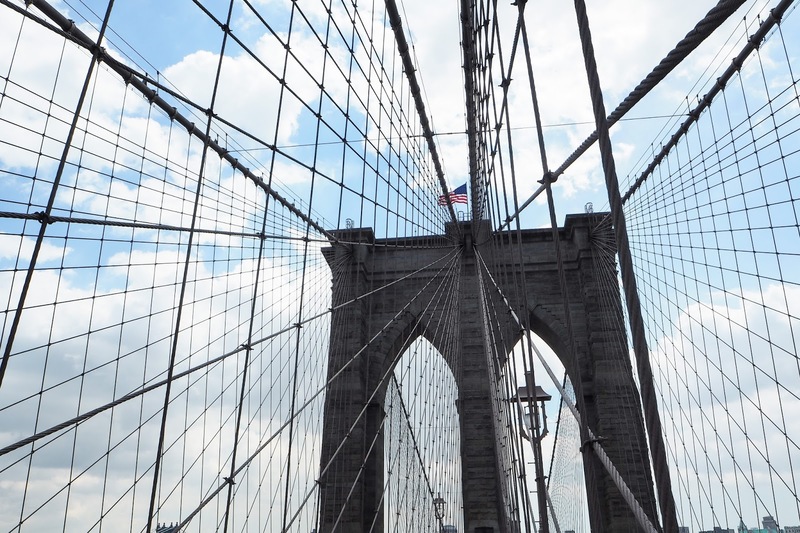 I was eager to return to New York with my family for a more relaxed experience than my previous. We booked our family trip to coincide with my sisters 21st birthday, flying out on Monday 8th of May and flying home on Friday, arriving in the UK midday on Saturday. 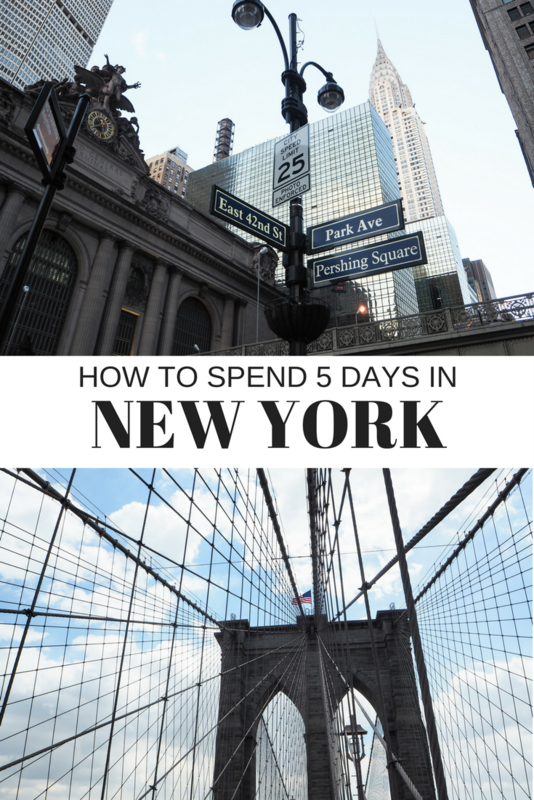 Our five-day trip enabled us to explore and see all the things on our list. 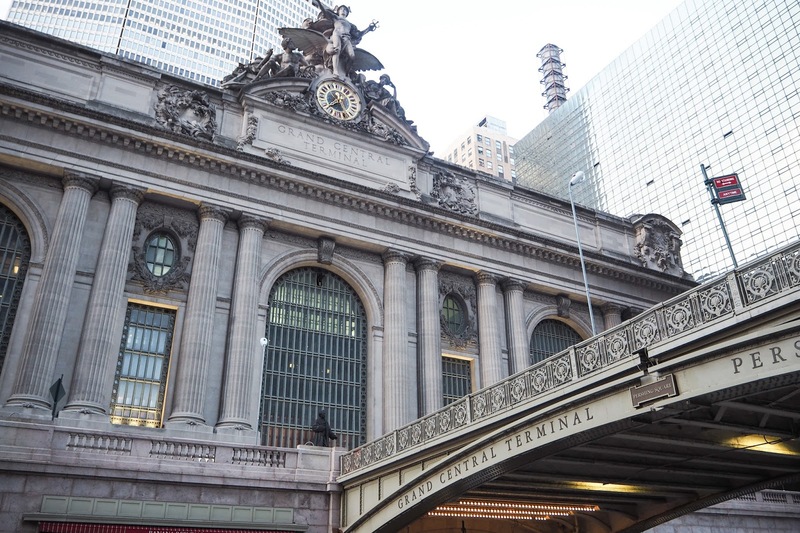 This hotel placed us a 10-minute walk from both the Chrysler Building and Grand Central Station. 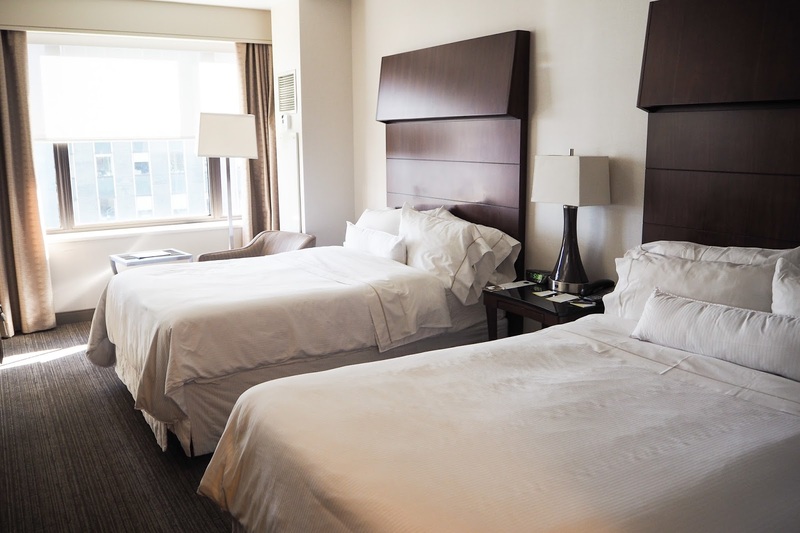 I was very impressed with the size of the room and the style of the interior. The staff were so helpful, the lock on my case broke while in transit so they helped me get inside. They also helped my uncles plan a helicopter ride, booking their trip and taxis too. The only downside to the hotel was no free wifi in the rooms, only paid options were available. They did, however, have free wifi in the lobby so my sister and I would come down 10 minutes earlier than our meeting time to quickly check Facebook and Instagram. When we were at the travel agents booking our flights and hotel, the agent recommended an open top bus with Grayline. The ticket we chose got us into 3 attractions and the open top bus tour for 3 days, believe this was around £80-90 each. What they don’t tell you is that you need to go and collect your passes from one of the kiosk desks near to Times Square so I would advise you do this first before you plan any attractions. Using the tickets for attractions was fine but the bus tour itself took ages because of the New York traffic. We wanted to use it as transportation as well as a tour to save money, but it took too long to get anywhere. I would advise you take cabs or the metro to the different locations instead. The station itself is smaller than expected but still beautiful with its painted ceiling. If you take the escalators down to the lower floor there is an amazing food court and market where you can enjoy a variety of dishes. 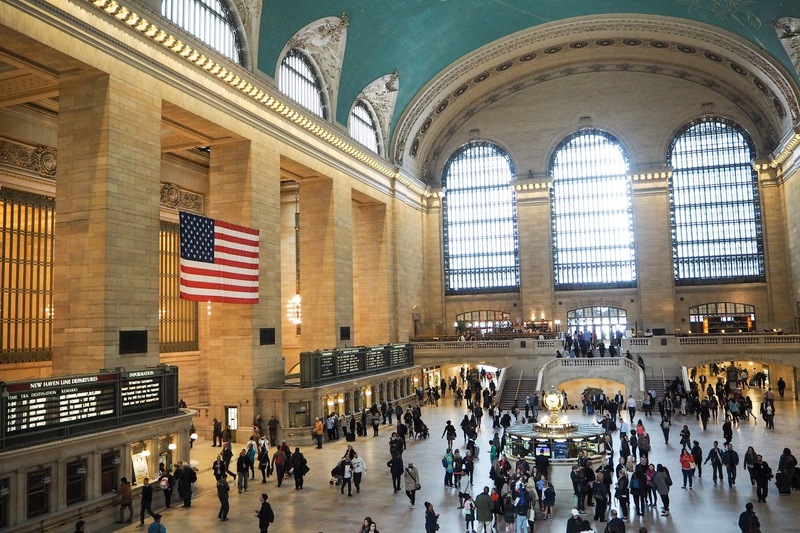 We also ate at the famous Grand Central Oyster Bar, it’s amazing if you enjoy seafood! I’d also recommend trying the ‘whispering arches’ outside of the restaurant. 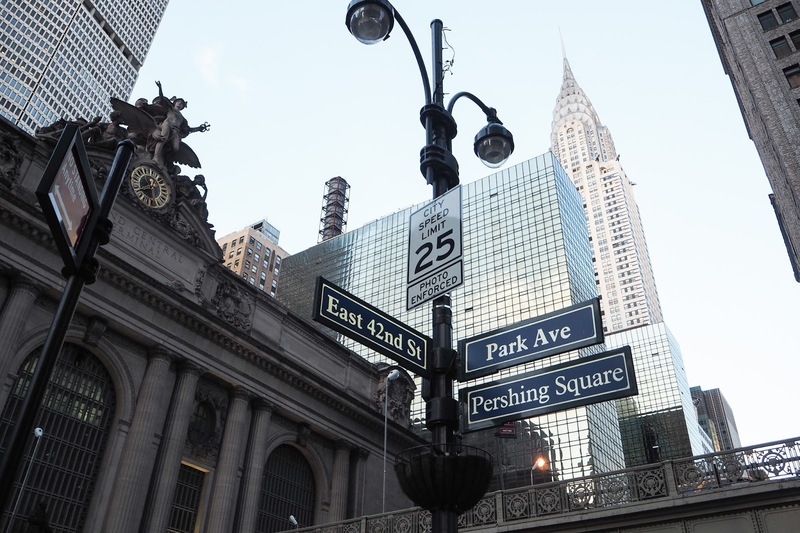 While you are in the area for Grand Central Station, make sure to visit the Chrysler Building. 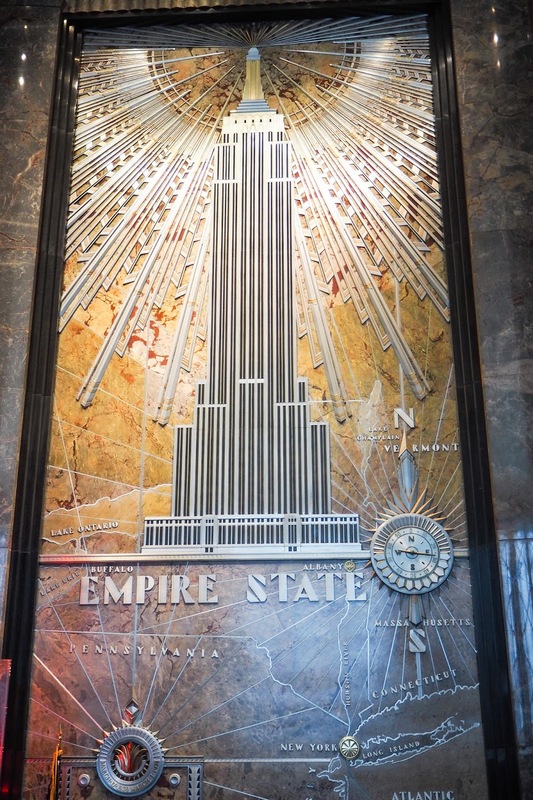 I’m a lover of all things Art Deco so I couldn’t stop taking photos of this world famous architectural beauty. 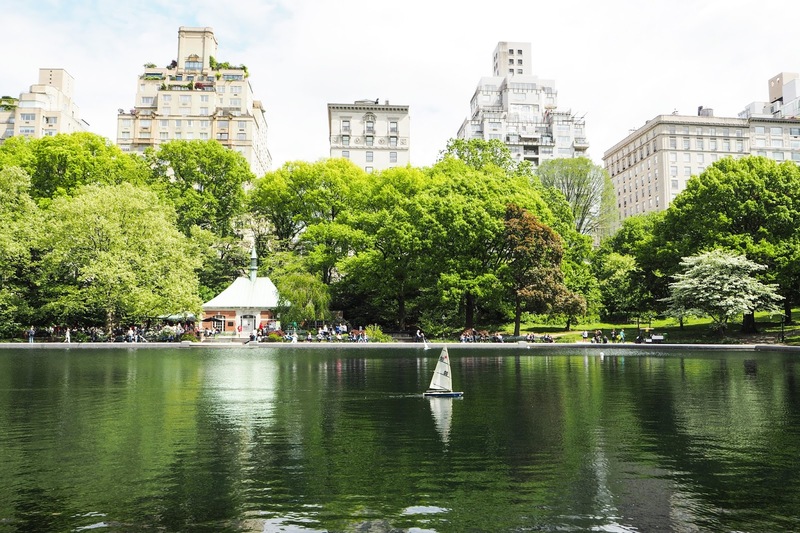 Central Park is a must see while in New York. I completely underestimated the size of it, I think we explored a quarter of it, but I think you can hire bikes to get around quicker. 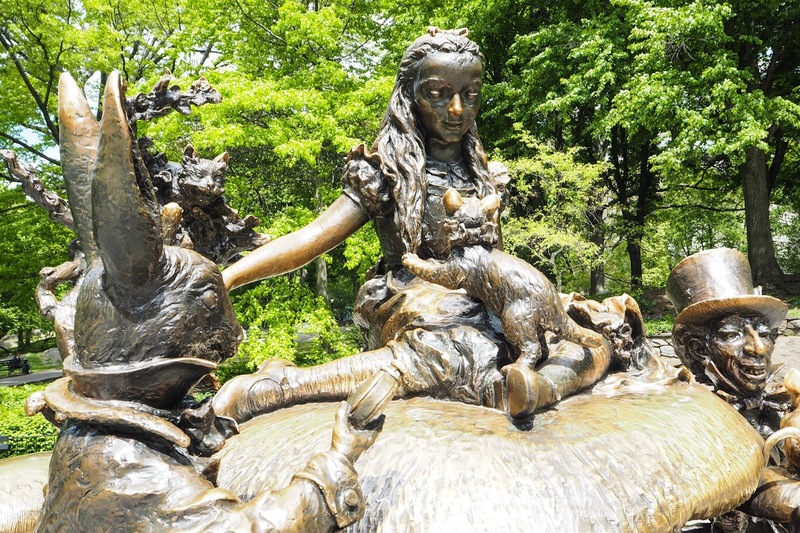 We headed straight for the boating pond, close to the Alice and Wonderland statues. 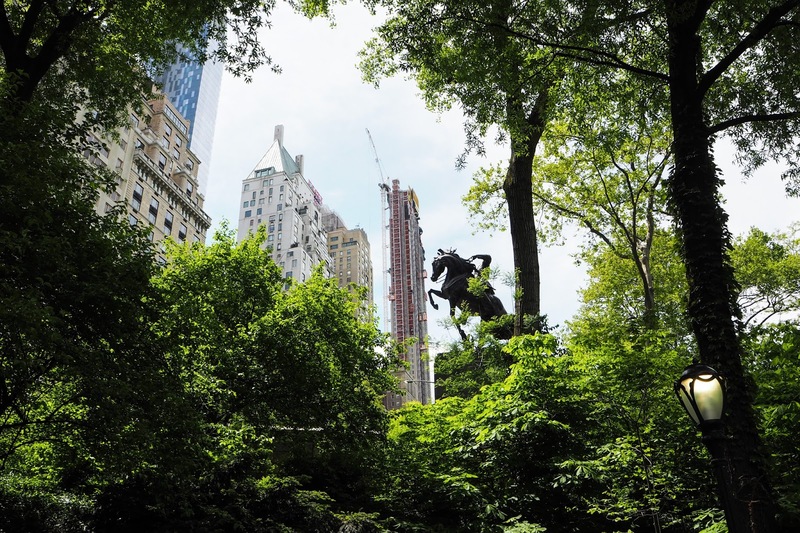 It was so nice to see the city dwellers enjoying the sunshine and greenery. 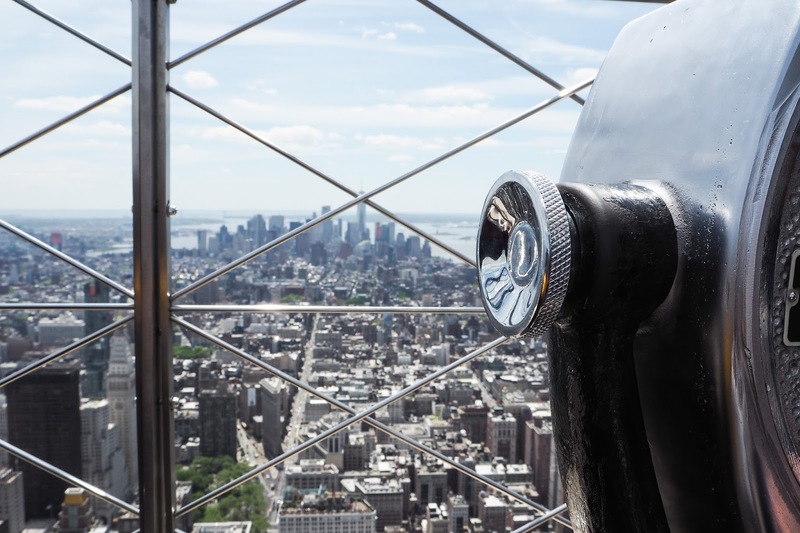 We had seen the view from the Empire State Building during the daylight, we took a trip up to the ‘Top of the Rock’. This is not one for those who fear heights, as the outside of the viewing deck only has glass walls around the edges. For the best photos go up two floors from the one you come out of the lift from, to see the view with a lower wall and no glass. 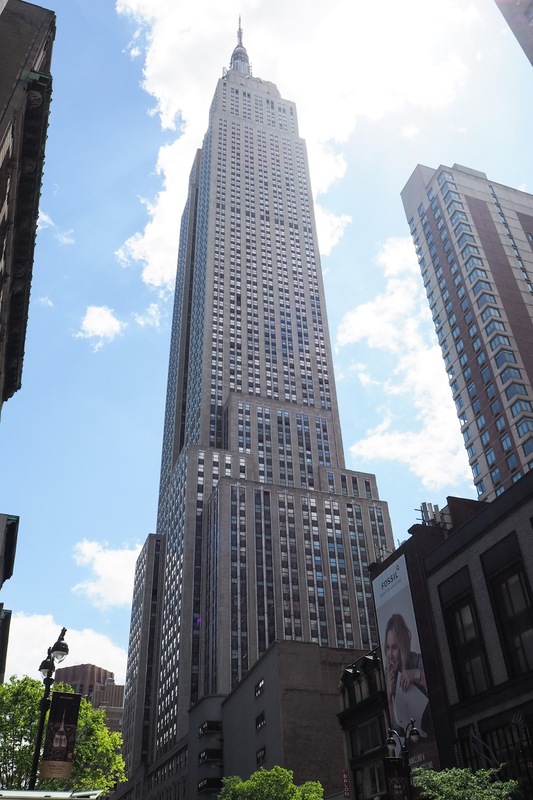 Another world-famous sky scrapper that is a must see! You can visit both during the day and night. 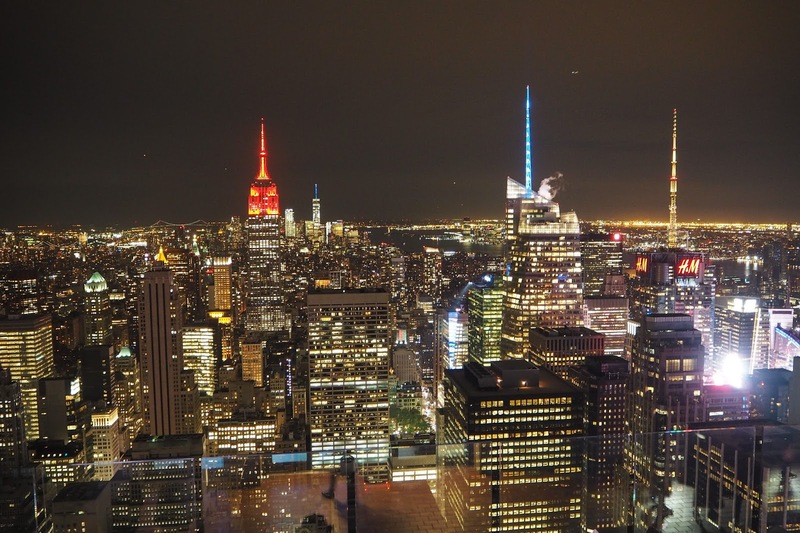 We took a trip up in the daytime and choose to see the top of the Rockefeller at night. At the time of my first visit to NYC, they were still building the museum and had just finished the two water-themed memorials. 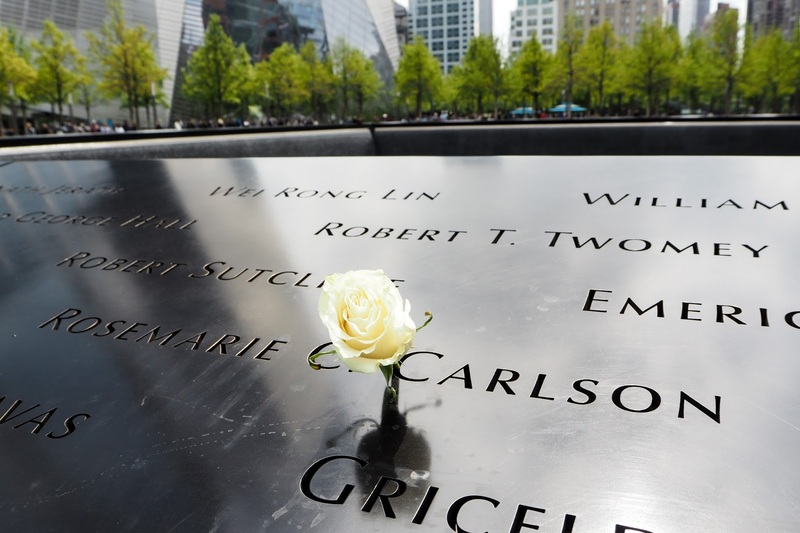 I’m glad this time I visit, I could see the artefacts and learn more about the events that happened on 9/11. The main exhibition is set out in the format of a timeline, displaying the facts moment by moment. There are plenty of interesting artefacts, recordings and information, make sure you bring tissues, it can be a little upsetting to see. 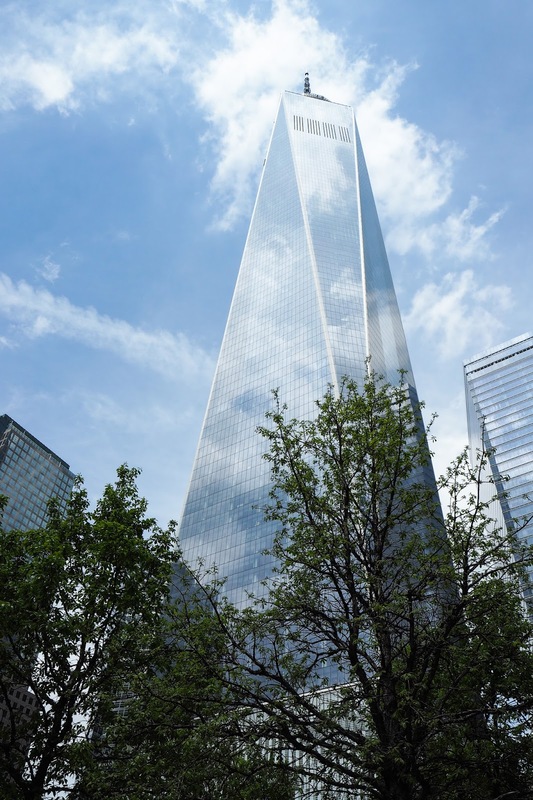 While at Ground Zero, we paid a visit to the One World Observatory, it has the best views of the city. 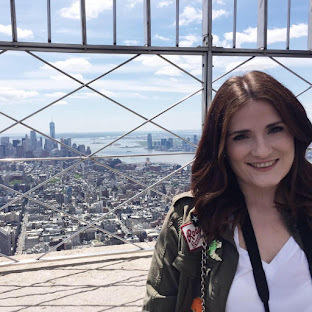 I don’t think you need to do the Top of the Rock, Empire State Building and the One World Observatory as they are all viewing point, just choose what suits you best. Ground Zero is in the lower end of New York, you might want to take a trip to see the Brooklyn Bridge while you are there. It’s a very busy tourist destination, many hire bikes to cross the river, but ours was a flying visit to take some photos. If you don't want to splash out on a trip to the Statue of Liberty, you can take the free commuter ferry to Staten Island which passes Lady Liberty. 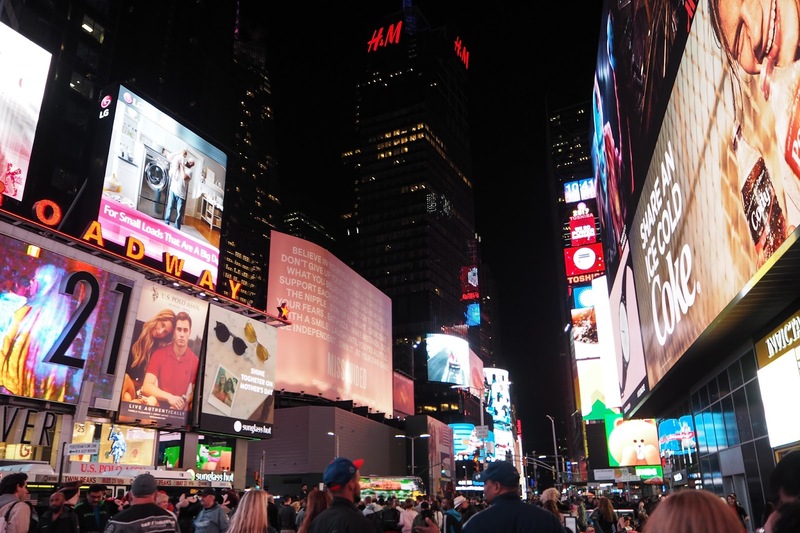 At night, Times Square is a hub of acitivity, shops and resturants are open until late so you can explore at your own pace. One of the best shopping destinations in the world. If you fancy a spot of retail therapy, this is where you should head. When went while it was American Mother’s Day so I managed to bag discounts off some of the items I bought. You can see my USA haul blog post to see what I got. We made sure we had a hearty breakfast before our busy days, we found a cute little restaurant opposite Grand Central Station called Pershing Square. It served the best Eggs Benedict with freshly squeezed orange juice. This French style café had such tasty yet healthy options on the menu. I would particularly recommend their Skillet Eggs and the Oatmeal. I’m a lover of Italian cuisine so I was pleased to find this beautiful restaurant cross from our hotel. Warning, the side salads are a meal in themselves! I tucked into a huge pizza while my family enjoyed their various pasta dishes, it was delicious! I think 80% of the country is sunburnt after this weekend’s heat wave. We have all been guilty of overdoing it in the sun. Unfortunately, sun damage can cause premature ageing and permanent damage to the skin so it’s best to apply plenty of SPF before you get burnt. If you are one of those suffering from parched and sensitive skin, I have some products which help bring your skin back to life. Of course, after sun is a no brainer, put it in the fridge to cool the skin. When you come out of the sun indoors, try a spritz to instantly add moisture to the skin. The Evian Facial Spray* is just water in an atomised spray, but it does wonders when you are overheated. 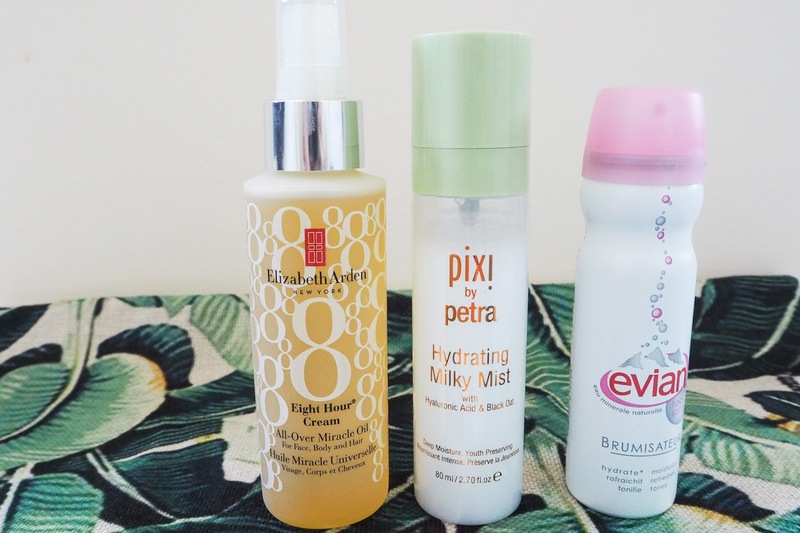 If you’d like something with some added skincare benefits, I would recommend the Pixi Hydrating Milky Mist or the Elizabeth Arden Eight Hour All-Over Miracle Oil*. The Pixi Mist has hydrating ingredients and has an amazing fine spray so you don’t end up soaked. The Elizabeth Arden Oil is a multi-use product and can be used in the hair, on the body or face. Hyaluronic Acid is the best ingredient when your skin is dehydrated. I have recently reviewed The Ordinary Hyaluronic Acid 5% + B5, which I use as a serum. I then apply the Kiehl’s Ultra Facial Cream*, this is a staple in my collection. It’s so nourishing and sinks in quickly. 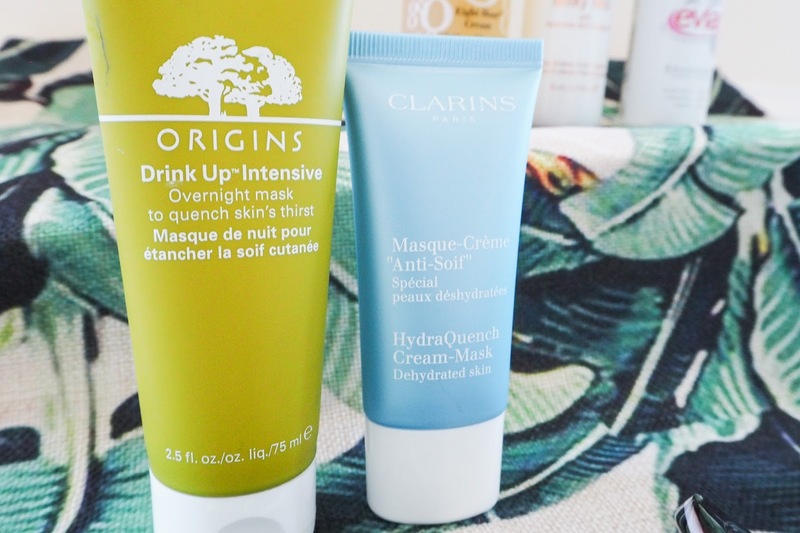 Clarins and Origins have fantastic overnight masks, which replenish the skin while you sleep. The Origins Drink Up Intensive Overnight Mask has a lovely fruity scent. I think it's a miracle worker when it comes to plumping the skin up. Similarly is the Clarins HydraQuench Mask*, this is intended to be wiped off after 10 minutes but I often leave it on overnight if my skin is parched. 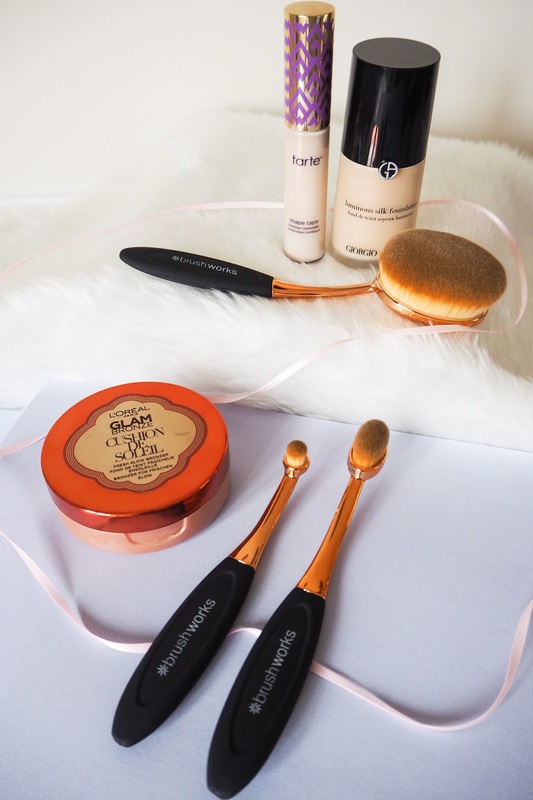 Both aren't like traditional masks as the formulas are more like a colourless thick cream. 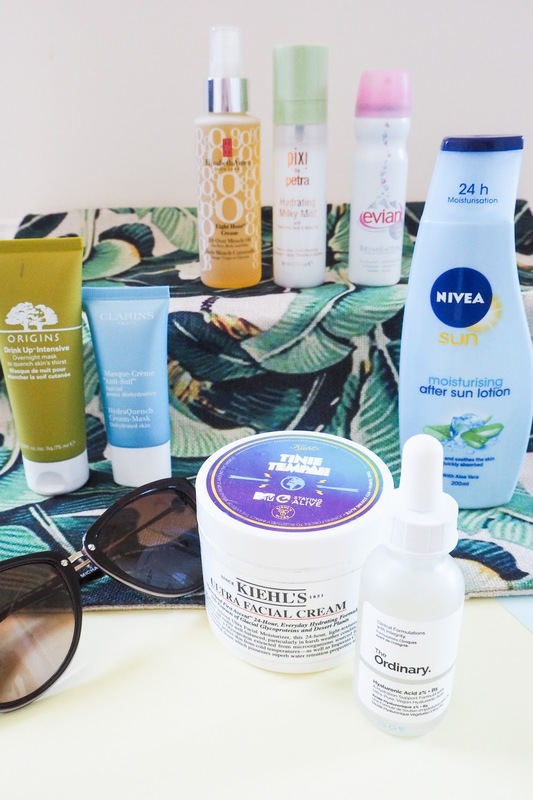 Hopefully, these hydrating and moisturising products will help soothe the skin and repair some of the damage from the sun. 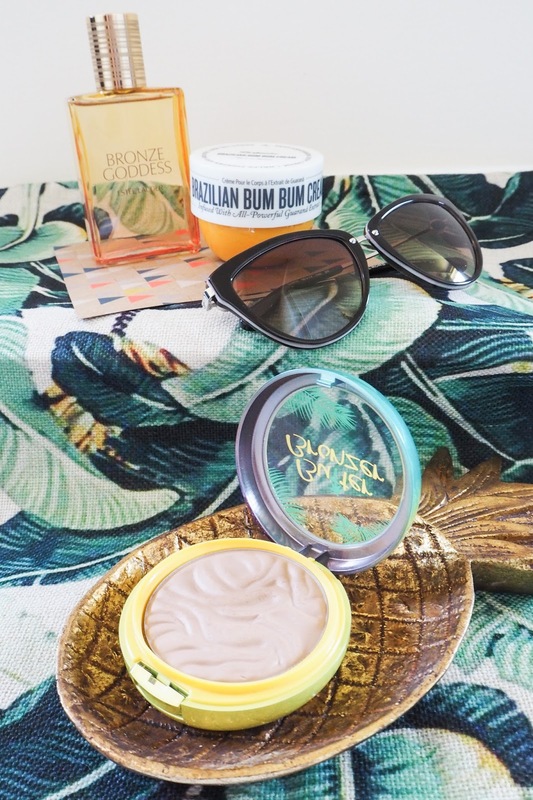 I have a post on my favourite SPF’s so you won’t get sunburned again. 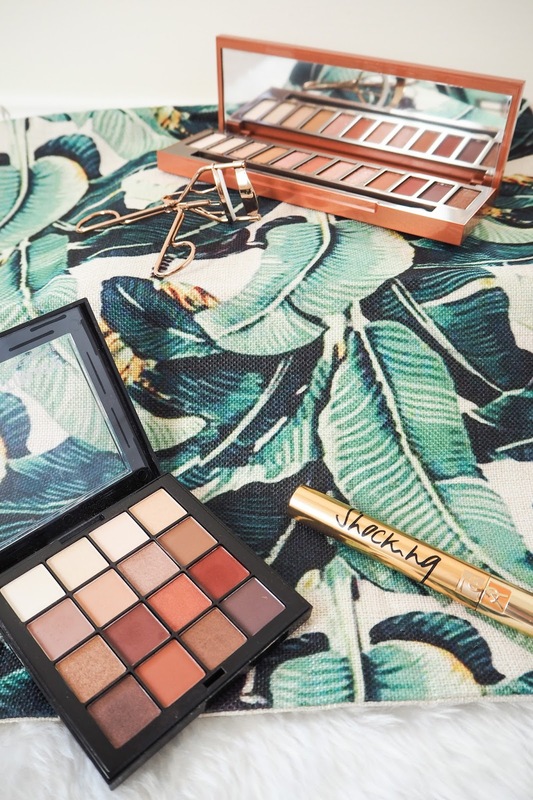 I was one of the lucky few who managed to get their hands on the new Urban Decay Naked Heat Palette in the pre-sale launch. 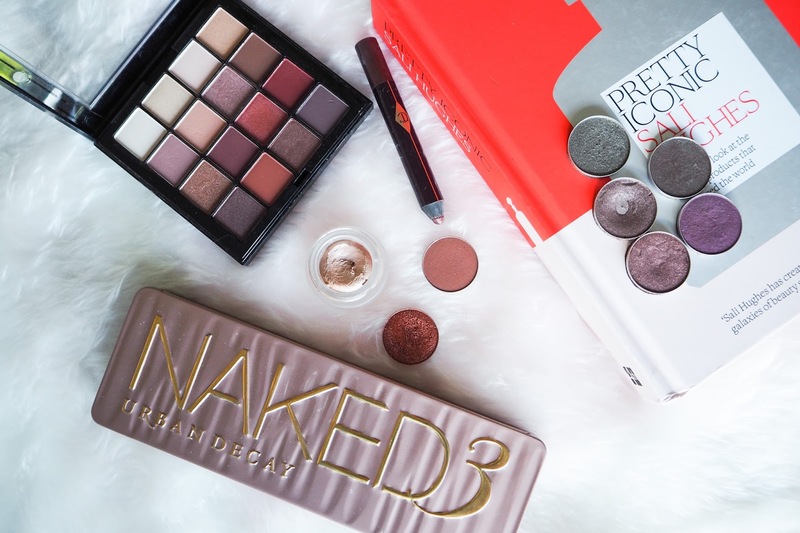 If you have read my blog for a little while, you’ll know that the Naked Palettes are some of my all-time favourite eyeshadows. I have the Naked 1, 2 and 3, plus the Smoky edition and now the latest release for 2017, the Heat edition. 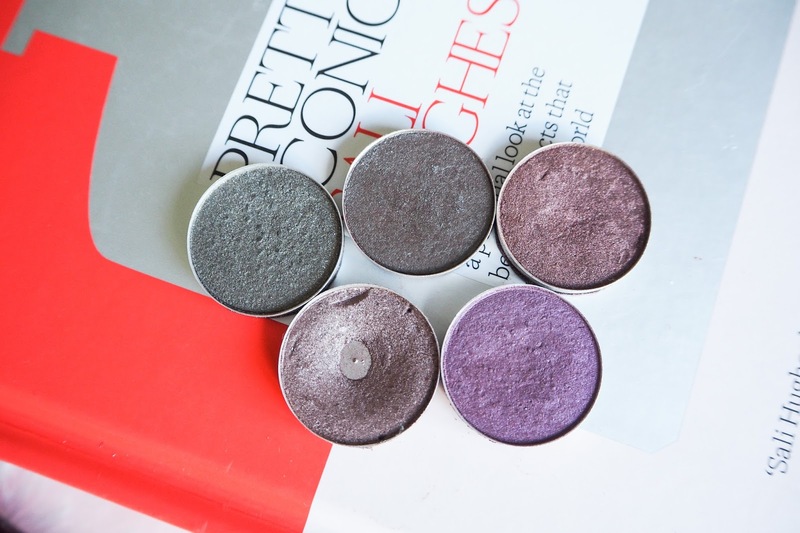 As soon as it arrived I wanted to find dupes for the shades, as not everyone managed to get their hands on it or they might not want to pay the £39.50 price tag. I don’t have a huge range of eyeshadows from different brands, but as soon as I looked at my collection this palette stood out to me as a possible dupe for the Heat palette. The NYX Ultimate Warm Neutrals Palette houses 16 eyeshadow shades and costs £16. The Urban Decay Naked Heat Palette but contains 12 eyeshadows. 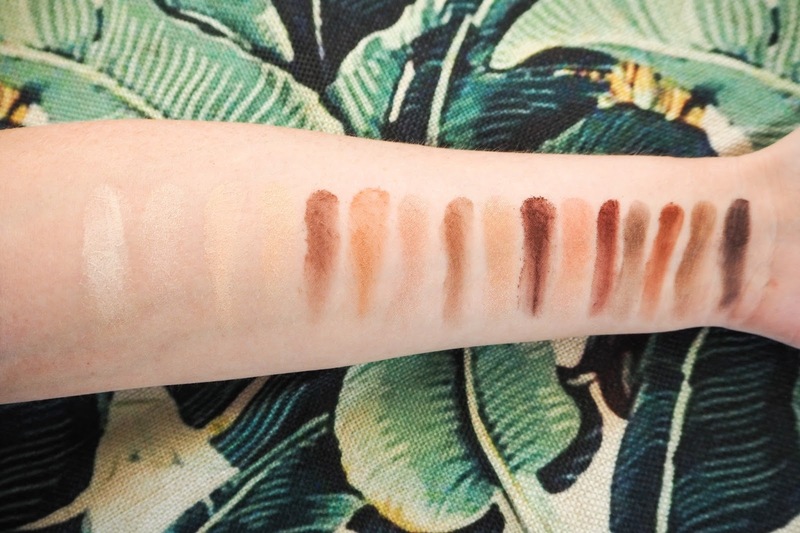 The shade range definitely looks comparable when they are in the palettes, so I got down to swatching, choosing the best options which looked the most similar. Unfortunately, the NYX palette doesn’t have names for the shades, so I have referenced them in numbers. I counted top left to right so this should help. For each swatch, I just did one swipe and didn’t go back and build the colour. The first shade I tried to dupe from the Heat palette was Sorched, when swatching this was the most buttery and pigmented. In the pan, the 11th shade in the NYX palette looked so close to being a dupe but when I actually swatched it, it was a lot lighter. 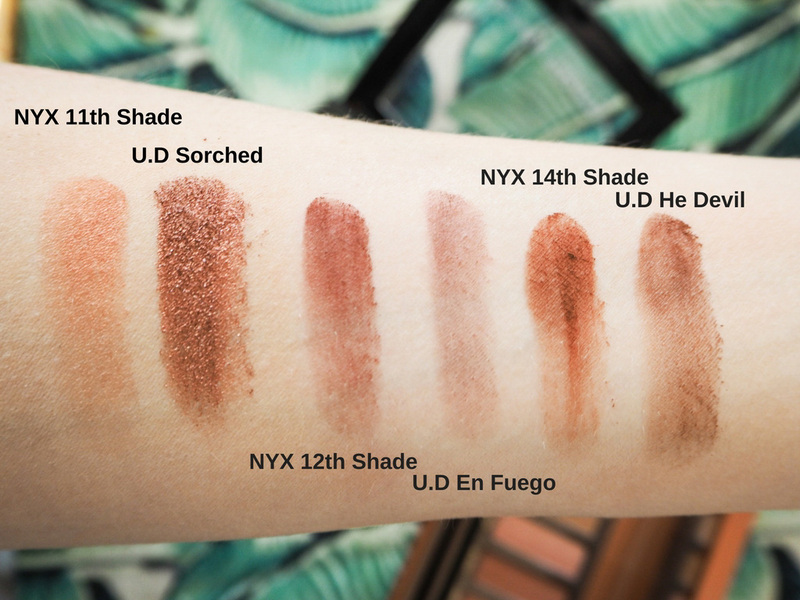 The next colour I tried to compare was En Fuego from the Urban Decay selection and the 12th colour in the NYX option. As you can see both have a red undertone to the brown, the NYX shade having a deeper red. Lastly, I tried He Devil and the 14th shade in the Warm Neutrals Palette, when swatched they were close but the NYX had a more red undertone again. 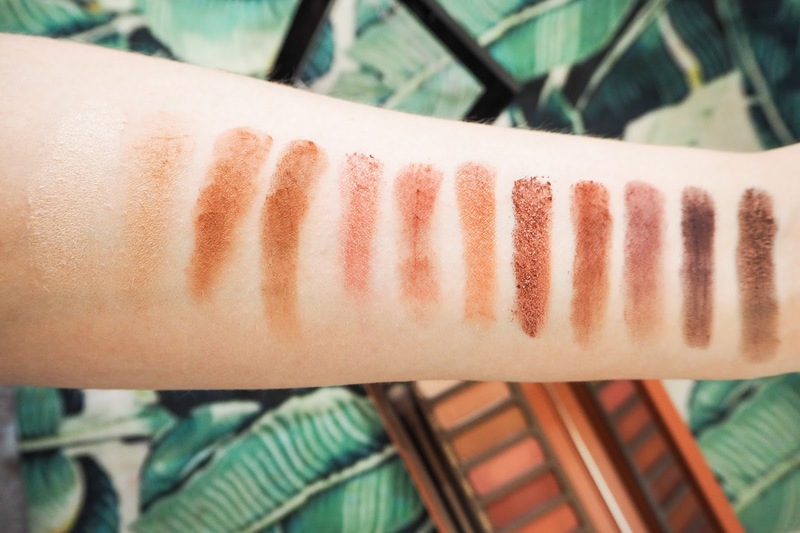 Urban Decay Naked Heat Palette Swatches (left to right): Ounce, Chaser, Sauced, Low Blow, Lumbre, He Devil, Dirty Talk, Sorched, Cayenne, En Fuego, Ashes and Ember. I feel like the colours are very close to being dupes but aren’t exact. I would say that as an affordable option, the NYX Ultimate Warm Neutral Palette had great matte shades. I think you could create every similar looks for the two options. Mascara and fluttery lashes just pull an eye makeup look together. 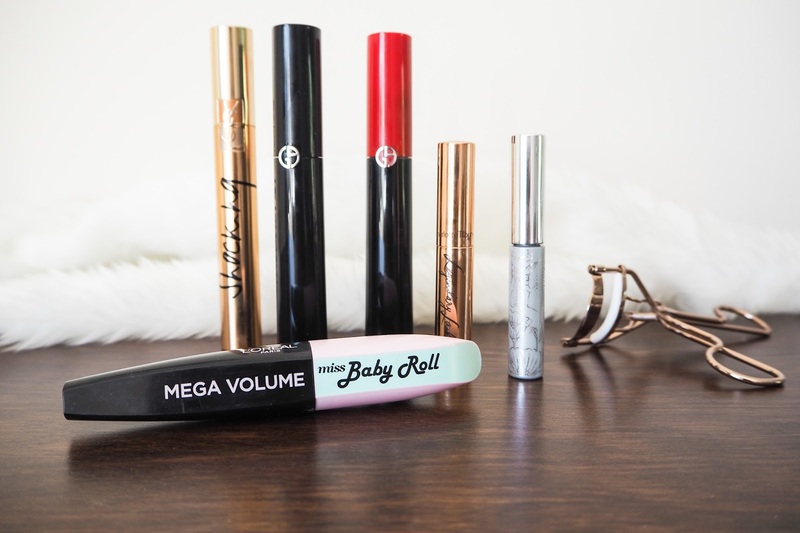 You'd be fooled into thinking that all mascaras create the same effect, but these options from my collection prove differently. I urge everyone who doesn’t already own this to go and buy it! 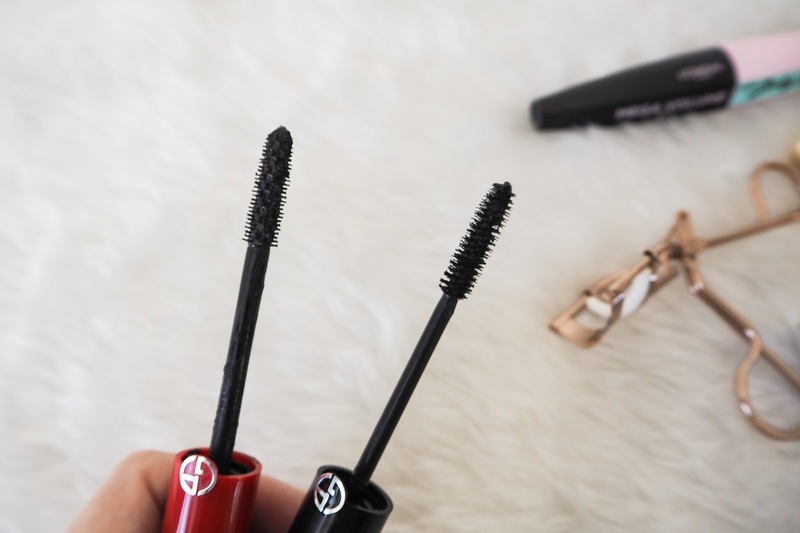 I found normal mascaras would usually flake or smudge under my eye throughout the day. This Clinique offering has the tiniest wand so you can get every little bottom lash and into the corners. It also has never smudged or flaked, but it’s easy to remove at the end of the day, unlike waterproof formulas. This is the latest offering from L’Oreal, which I believe is a great all-rounder. 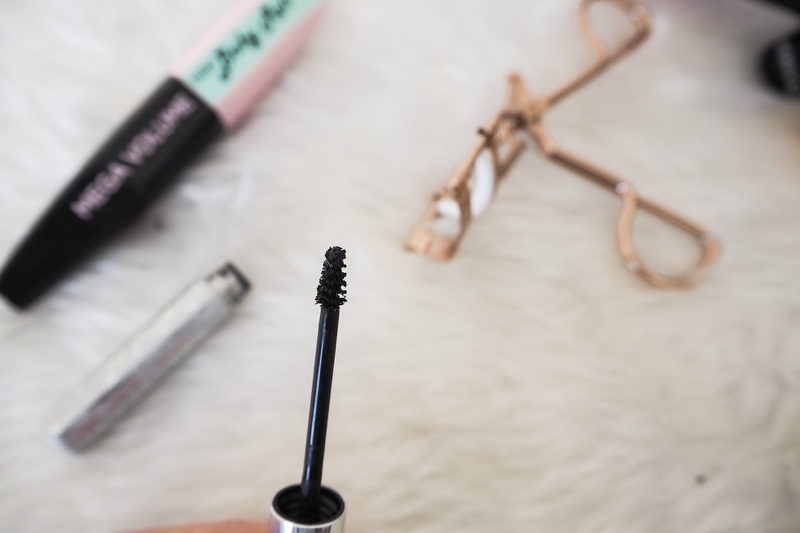 The Baby Doll mascara has a plastic spiked brush; this enables you to get right to the base of the lashes and wiggle the wand through them. It adds length and definition, but it’s not one if you love false lash like lashes. I do advise you don’t poke yourself in the eye with it, speaking from experience! I received this mini mascara when I bought the 5 Minute Makeup Look Quick ‘N’ Easy Natural Glowing Look Set. I’m glad I got a sample size before I considered investing in the full size. It’s a more waxier formula than the L’Oreal and Armani options. I do find it occasionally transfers to my brow bone if I have been wearing for a long period. 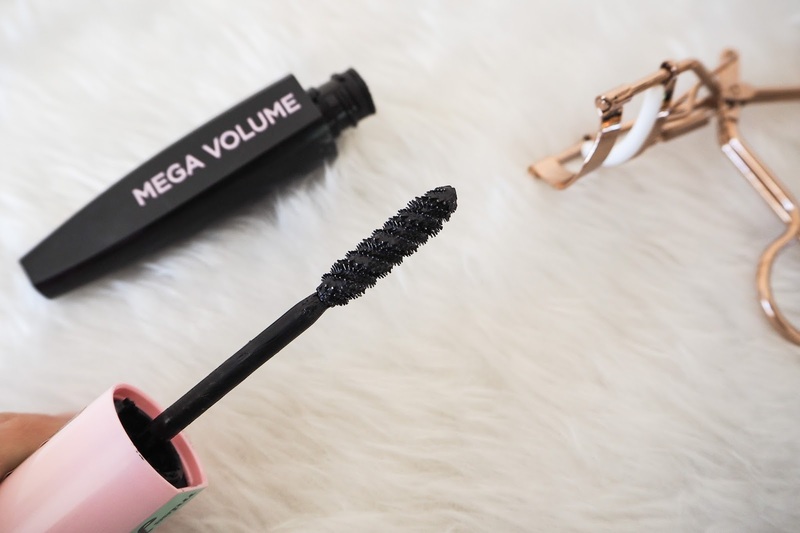 The positives of this mascara are the long, voluminous lashes it gives. 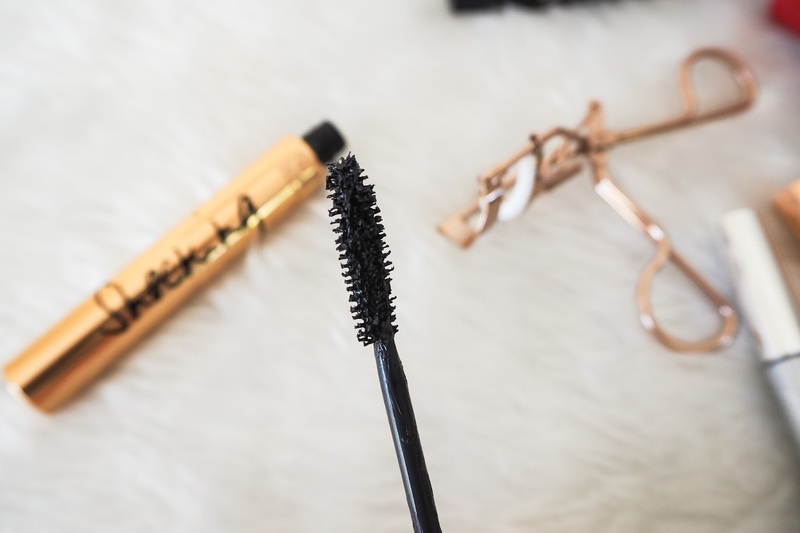 This is my current favourite mascara, I would 100% recommend it! The formula provides the best of both worlds, length and volume, without smudging or flaking. It has a plastic spiked wand, and elegant packaging, it’s well worth the money. This is a new mascara to me, I was gifted it at an Armani event and gave it a whirl the next day. It’s very different to the Eccentrico as it’s a very natural finish on the lashes. The bristles are very long and wiry; they don’t pick up much product. 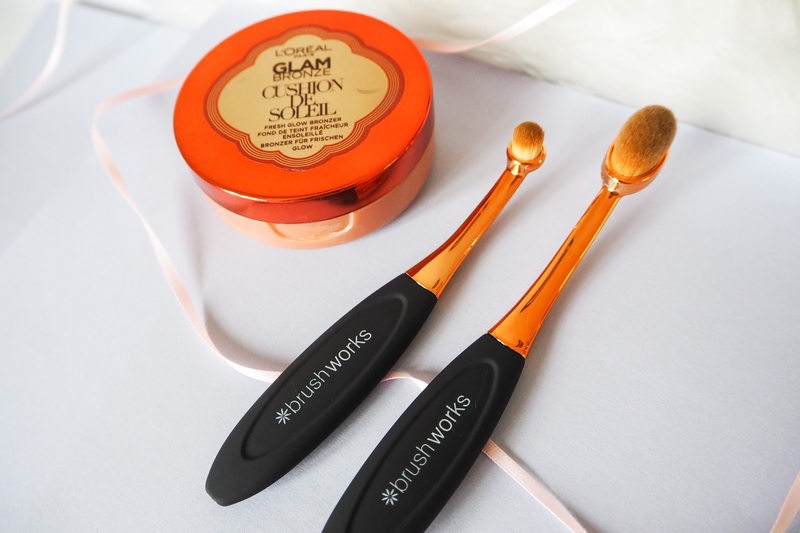 The product would be ideal for ‘no makeup’ makeup looks, as it just colours the lashes and adds a touch of definition. I wouldn’t repurchase as I much prefer something with volume. Although this has a similar name to the L’Oreal one, I think they are completely different in the finish they give. 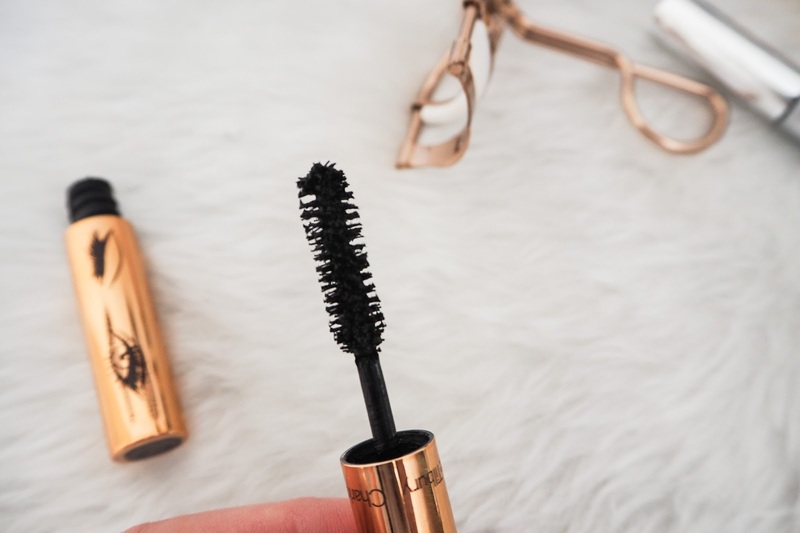 This is one for you if you like thick, almost clumpy lashes, a la Lily Melrose. It has a natural bristle wand which collects plenty of product, I find I must wipe a little off on the top of the tube before application. Like the Charlotte Tilbury option, this one sometimes smudges on my brow bone if I have been wearing it for a long time. I’ve also found its amazing for meshing your natural lashes with false ones as it’s so thick in consistency, it just helps they stick. The Ordinary is a new skincare brand from Deciem which has received so much hype from beauty bloggers. I don’t think I’ve seen a bad review yet. So why do us bloggers love the brand so much? They offer affordable, no fuss, effective skincare products. There is no fancy packaging or huge marketing advertisements, the quality of their products make them stand out. The word of mouth and people sharing their thoughts on the brand created a demand for their items. I wasn’t very daring with the first product I bought from The Ordinary’s line up, I opted for the Hylauronic Acid 2% + B5. 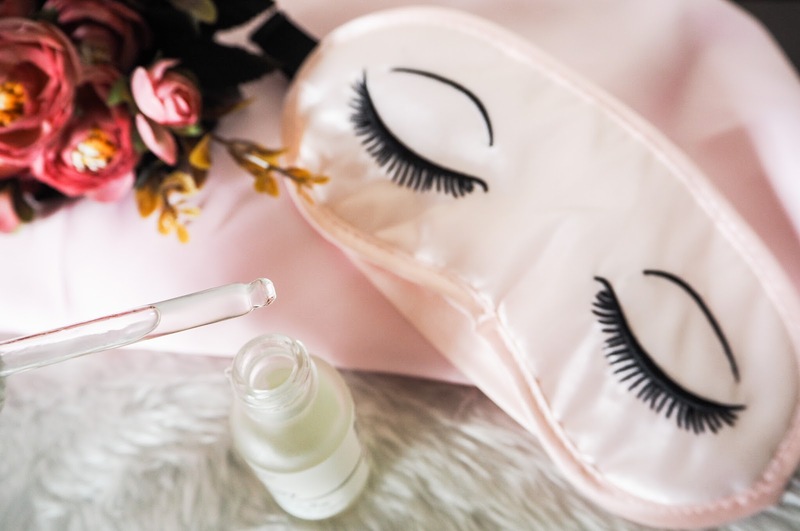 The ingredient Hylauronic Acid is found in plenty of skincare products, usually in serums or creams. It’s used by it can attract 10,000 times its weight in water, perfect for attracting moisture to the skin. The Ordinary’s version of H.A is to be used like a serum, morning and night before your creams. I will usually cleanse, tone and then use this product, followed by an oil and my moisturiser. The packaging makes for easy application as it has a dropper. I just squeeze the pipette for a few drops of product, pop this onto my fingertips and apply to the face. If you have ever tried Estee Lauder’s Advanced Night Repair, it has a very similar texture, it’s silky but does dry down on the skin. 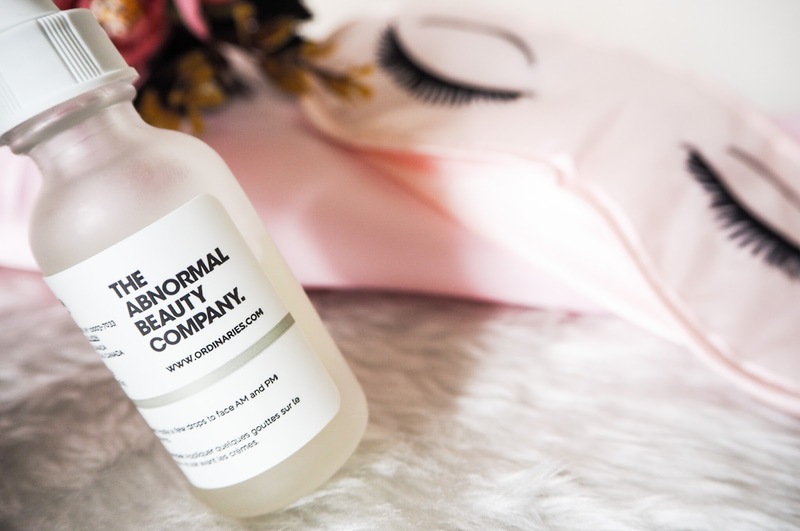 On its own, the Ordinary’s Hylauronic Acid is a great product but when teamed with an effective oil and moisturiser, it’s incredible. It enables my skin to drink the product up, achieving maximum results from the products I use in conjunction. I found my skin looked more even and plumped when I used the H.A at night. It’s a product that all ages and skin types can benefit from. I find that Deciem’s website gives so much detail into the product and informs you about the ingredients and what they are aimed at. 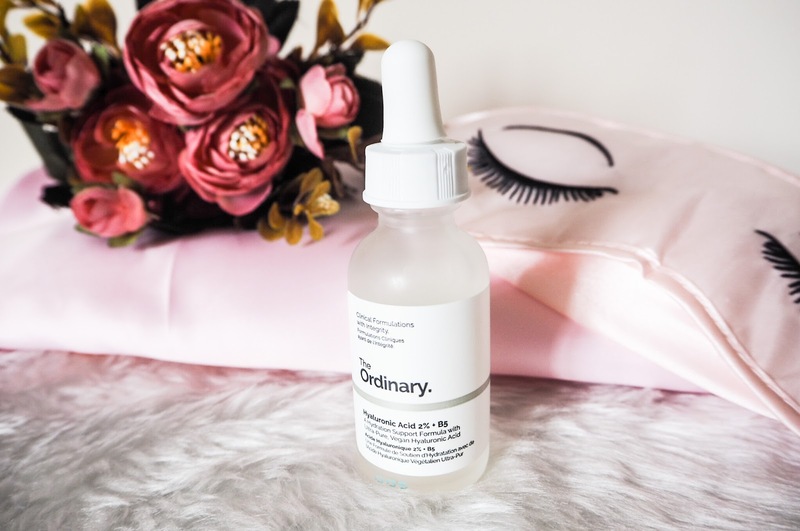 The Ordinary’s Hylauronic Acid 2% + B5 is priced at £5.90/£6 making it very affordable compared to other H.A options on the market.